Murphy’s Law states: Anything that can go wrong, will go wrong. If you were going to sum up the Syracuse 2014 season in one sentence, that would pretty much do it. But, it’s time for a new season, and the Orange are ready to have a better and, hopefully, luckier 2015. Sophomore receiver Steve Ishmael is the leading returning receiver, and managed to finish second on the team in receiving yards as a true freshman. Behind Ishmael, Brisly Estime, Ben Lewis and Ashton Broyld are the only returning receivers to hit triple-digit receiving yards last season and none of them topped 300 yards. Terrel Hunt is a good running quarterback, but the fact that he’s the leading returning rusher is slightly disconcerting considering that he played in only five games last season before breaking his leg. Hunt also led the team with six rushing touchdowns last year. As a matter of fact, no returning running back had a rushing touchdown last season. One of the positive takeaways of Hunt’s injury last year is that it gave his backup, A.J. Long, plenty of playing time should he have to step in again this season. Neither of them were particularly great passing last year though, and combined for five touchdown passes and twelve interceptions and fewer than 2,000 passing yards. Experience on the line is easily the biggest positive for Syracuse. Aaron Roberts is expected to start at right guard as a redshirt freshman, but every other starter has ten or more career starts and three of the starters have 20 or more. Ivan Foy is going to be a new starter at left tackle, but he has 23 career starts at guard. A top thirty defense was one of the main reasons Syracuse got to even three wins last season, and thanks to the poor record it was also overlooked. However, most of the members of that solid unit are gone. There isn’t a single part of this defense that returns its top two tacklers from last season, and only three starters total return. One of those is defensive end Ron Thompson who led the line with three sacks last season. Zaire Franklin and Marqez Hodge are the only returning linebackers who had more than ten tackles last season, but they should at least be a solid starting point in the middle. Franklin and Hodge didn’t light the world on fire combining for 10.5 tackles for loss and five sacks, but they are talented players with game experience. Hodge did have his 5.5 tackles for loss and three sacks in only nine games, and Franklin was a true freshman last year. Cornerbacks Julian Whigham and Corey Winfield are the leading returning tacklers in the secondary, and consequently the only two returners to record double-digit tackles last season. Whigham, a returning starter, and Wayne Morgan are expected to start at corner, with Winfield factoring in as a role player. Whigham and safety Antwan Cordy are the only returning members of this secondary to record an interception last season with one apiece. 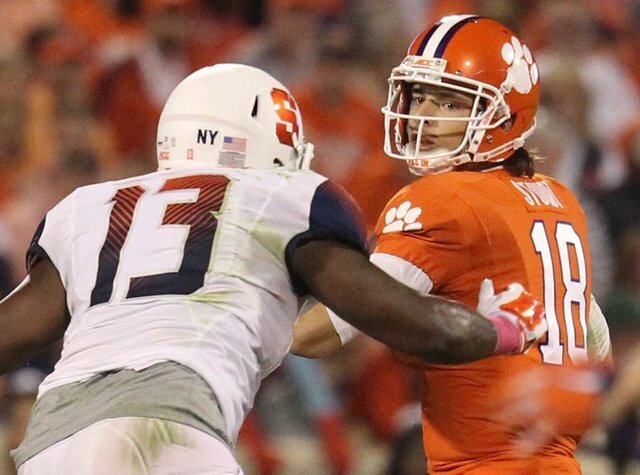 A healthy Terrel Hunt and generally better luck overall should mean marginal improvement for this Syracuse team, but they still don’t have the horses to compete in the ACC yet. With the exception of LSU, the non-conference schedule should provide some winnable games, but there is a real chance that the Orange go winless in conference play if they can’t win their first conference game. 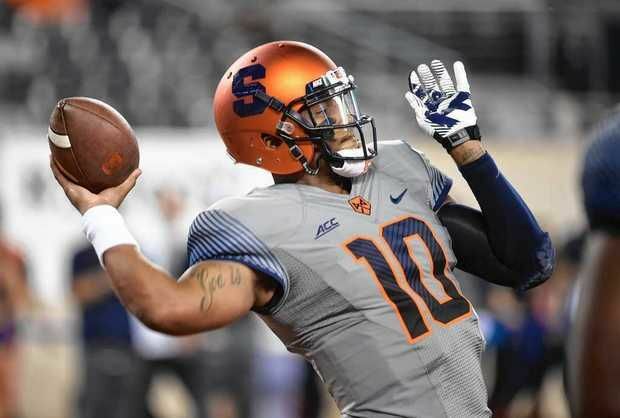 An early home game against Wake Forest is probably the best opportunity for a win, but some other conference games Syracuse should be circling are the October 17th trip to Virginia and the season finale at home against Boston College.